South Sudan’s peace process has been complicated by the parliament’s vote to extend the tenure of President Salva Kiir by three years while talks are under way to bring an end to the country’s civil war, experts and opposition leaders say. The opposition is already kicking, describing the move as illegal, coming barely days after they rejected plans to reinstate rebel leader Riek Machar as vice president, saying it had failed to dilute Kiir’s power. Mabior Garang de Mabior, spokesman of Machar’s rebel group, the Sudan People’s Liberation Movement-in-Opposition (SPLM- IO), told Reuters news agency that the tenure extension potentially derails the peace talks. “It shows the regime is playing games at the negotiating table. The international community should not recognise this move and the regime should be declared as a rogue regime,” Mabior said. Lawmakers unanimously voted to pass the transitional constitution amendment bill which must now be signed into law by Kiir. Justice Minister Paulino Wanawilla, who tabled the bill, said it would prevent the government from being rendered ‘illegitimate’ when its mandate expires. The law change will extend the mandate of the president, vice presidents, state lawmakers and governors until July 12, 2021. Paul Youani Bonju, chairman of parliament’s information committee, said the vote will bolster the government team at peace talks with rebel groups being hosted in neighbouring Sudan. Rights campaigner Beny Gideon Mabor said that there was nothing wrong with the decision to extend the president’s mandate. “This decision is to avoid vacancy, is to avoid vacuum in government. What it means is that if the outcome of the peace agreement contradicts the parliamentary resolution, then the resolution of the peace agreement will prevail,” Mabor said. Elections were due to be held this year, but bloody conflict has made the timetable impossible as government and the opposition try to trash out details of the peace deal. The country’s parliament voted in 2015 to extend President Kiir’s term by three years, after elections due to be held in June of that year were called off. Preident Kiir’s transitional term was expected to end in July this year. Emmanuel Kisiangani, a researcher at Institute for Security Studies, told Al Jazeera that recent peace talks have unfortunately been silent about the president’s term. “It seems to focus more about an inclusive government but did not address the fact that the term of the president was coming to an end,” Kisiangani, who is based in the Kenyan capital city of Nairobi, said. “What the extension means is that it serves the interest of the president. He knew that his term was coming to an end, he has never spoken about organising an election to gain legitimacy. He has been quiet so it serves him well if they don’t go through that process,” he added. 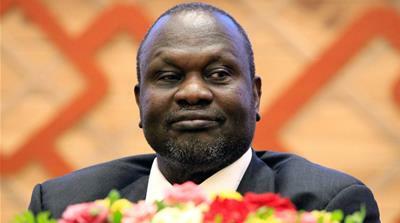 The rebels rejected parts of a recent peace deal, and Machar has not confirmed if and when he would return to his former position as vice president. Opposition groups have further been exasperated by the parliment’s decision. “This illegitimate extension of the regime’s tenure however, is not just bad politics, but will create mistrust between the warring parties and stakeholders,” Mabior said in a statement. 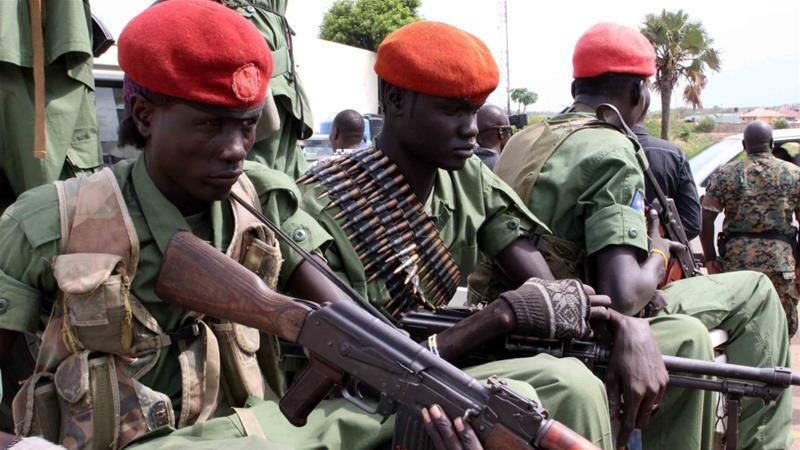 “In the light of the regime’s extension of their tenure at such a matured stage of the peace process, their malicious propaganda, their intrasigence throughtout the peace process, their constant violations of the cessation of hostilities agreements and ceasefire, and their constant aggresive posturing, the SPLM/SPLA (IO) reserves our natural right of self-defence,” he added. The rebels’ position resonates with analysts who feel the decision was not all-inclusive. “Here you have a peace process and you have the president extending his tenure. It does not send out positive signals about his intentions for the peace process,” Kisiangani from the Institute for Security Studies said. South Sudan gained independence in 2011 but erupted into violence two years later over a political disagreement between Kiir and his former deputy Machar. 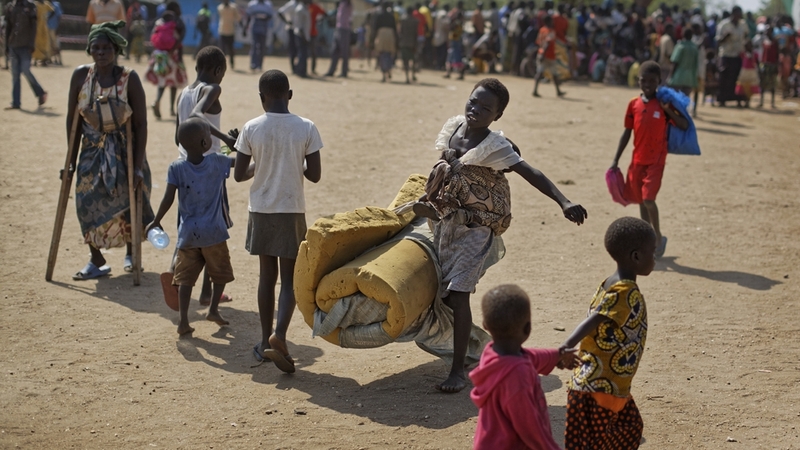 The civil war has killed tens of thousands of people and forced millions to flee their homes, triggering a humanitarian crisis. It has also cut the country’s crude oil production, which the government depends on for revenue, with output at less than half its pre-war level of 245,000 barrels per day. Successive rounds of talks, mediated by a regional trade bloc, the Intergovernmental Authority on Development (IGAD), have so far failed to bring peace or even a lasting ceasefire.